The car has now been skewered and placed on a spit for easy access to all parts of the car. 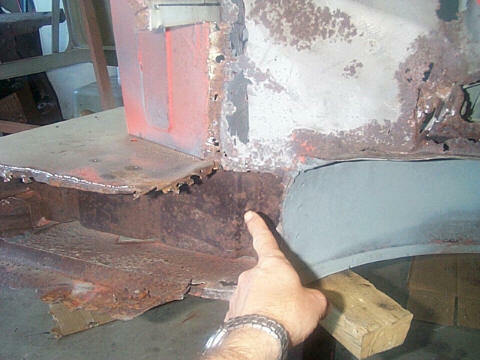 I welded a 12 inch section of two round inch pipe to some 1/4 inch steel plate which was then bolted to the rear deck. The same thing was done at the front, but the steel plate was bolted to the firewall using the binnacle hole to pass the pipe through. See "How to Mount Your Mini on a Spit"
1. Here is the view from the front of the cat on the spit. 2. And the rear view. 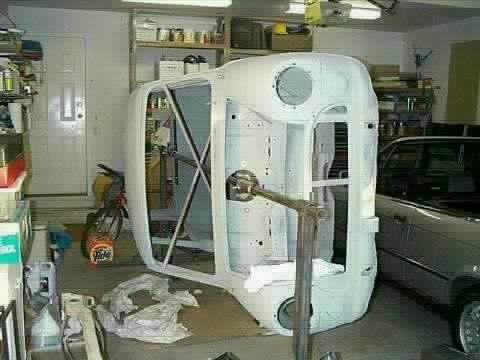 It sure makes it a lot easier to work on the underside of the car. Thanks to my neighbour Tony for his help in supplying the stands. 3. The first thing repaired was the rear corners under the tail lights. 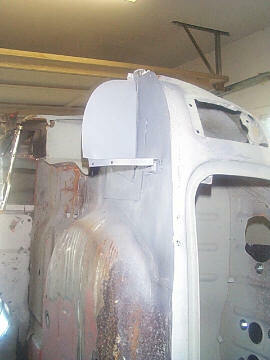 The rear valance was removed first. 4. 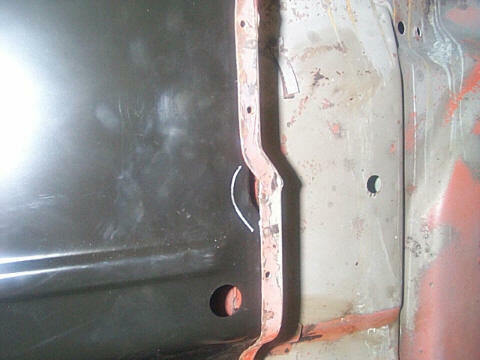 Both rear corners were fabricated along with the floor panels need to repair the trunk floor..
5. 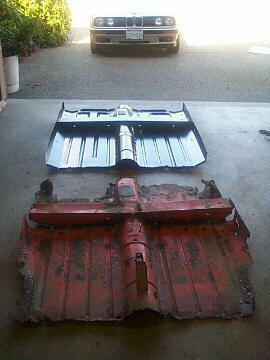 Here is both sides of the trunk floor completed. 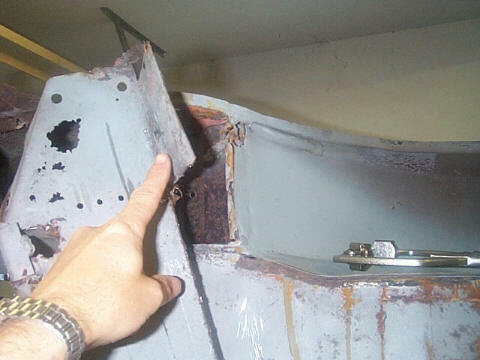 The closing valances and subframe mounts were repair parts, located by mounting the subframe to hold them in place while they were tack welded. Finally they were spot welded in after removing the subframe. 6. Next the floor was cut out. You can see the cross bracing in the car as well as the spit pole. 7. 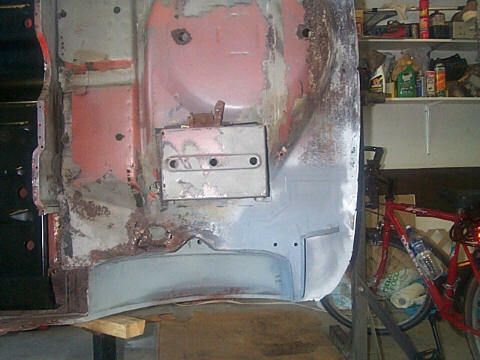 Here is another shot from the rear, you can see the repaired floor of the trunk. 8. 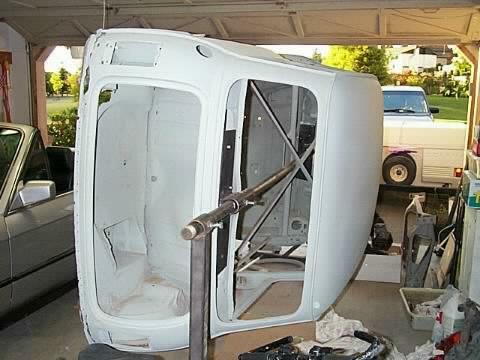 This is a trial fit of the new floor pan. 9. Here is an area where the floor doesn't quite fit. See the white chalk line drawn on the floor. 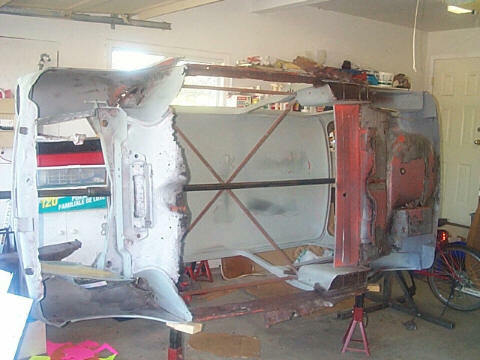 The curve in the rear of the floor starts at about an inch or so different than the new floor pan. 10. 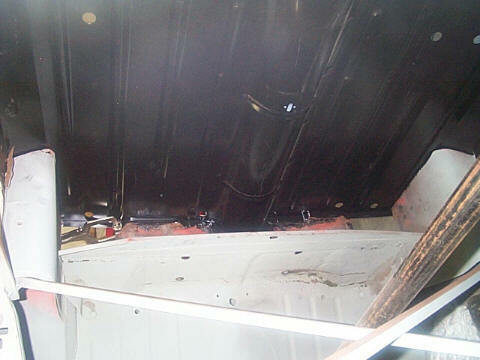 View of the inside front fit of the floor pan. 11. 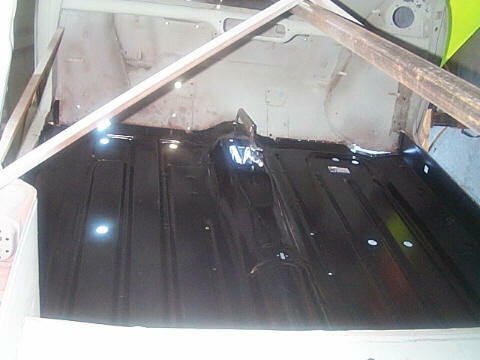 View of the inside rear fit of the floor pan. Note the Mini is upside down so the orientation of this picture is unusual. 12. 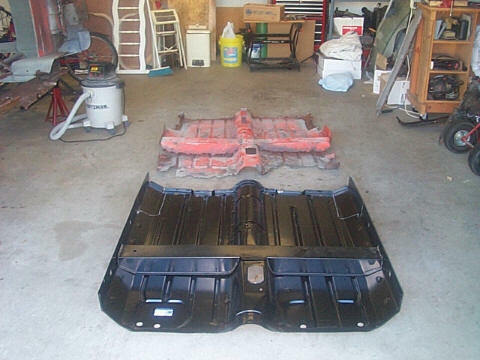 A shot of the old and new floor pans. 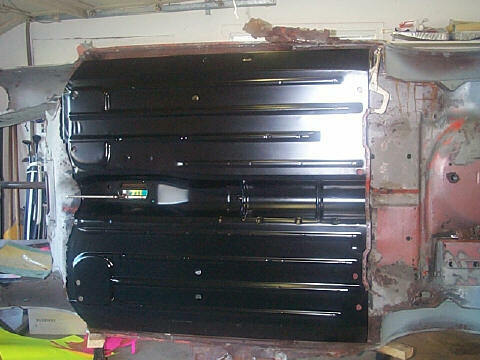 You can see how much is missing from the sides of the old floor pan. 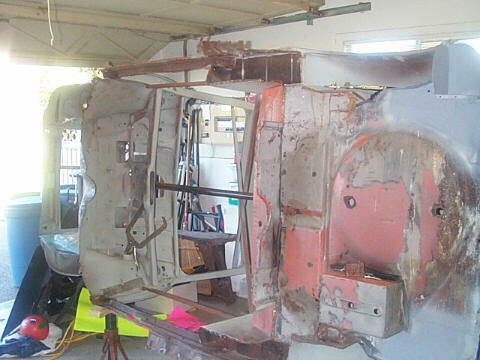 The next step will be to start welding in the floor pan, followed by the front subframe mounts for the rear subframe. 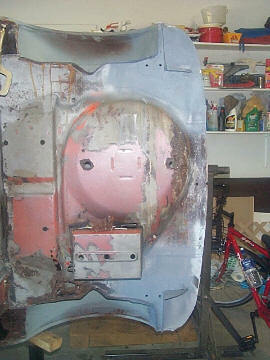 There are also a few area to be filled in where the floor no longer meets the body, due to rusted away metal.